Solar panels work with sunlight, which is plentiful in our North American summers. Now, our days are shorter. Some homeowners might ask whether this is a good time to install residential solar power. They might also wonder how their roof panels will keep up with their winter electricity needs. The top solar-powered U.S. cities are not all blue skies and sunshine. Some of the leading regions for U.S. residential solar energy have snowy winters, and indeed New York City tops the chart for electricity cost savings from solar. Philly, Denver, Boston, Topeka, Omaha, Milwaukee, Minneapolis, and Detroit are all solar-powered success stories. And large percentages of their solar installations are done during winter months. Solar installation quotes can run lower in the wintertime, when demand for all forms of construction tends to drop off. Homeowners’ thought may turn to solar energy as electricity savings comprise such a big driver of solar installations. Winter, with its residential heating demands, makes solar a helpful alternative to other forms of electricity generation. Yes, the hours of sunlight are shorter in northern cities. But our northern climes have longer summer days — making up any for lower output during the winter. And insofar as net metering tracks solar energy output on a full-year basis, the homeowner benefits through all four seasons from a strong summer of solar power generation. How do homeowners outside of the warm southwest obtain their strong solar power performance? The photovoltaic (PV) solar panels generally achieve a higher energy output as the mercury drops. Solar panels, like most electronic technology, perform better in cold temperatures than in high heat. This higher efficiency through the winter weather months can and does offset drops in output related to snow cover or shorter spans of daily sunlight. Adding to this effect, PV panels also manage to catch some rays that reflect off snow cover, lending another performance boost to the winter equation. And now that we’re speaking of snow . . .
Winter will only really put a damper on solar production if the panels are heavily coated with snow. They normally aren’t. For the most part, light snow will be quickly windblown, and heavier snow will slide off as most panels are tilted. Even partially exposed panels can effectively generate power. And through a dynamic called forward scattering, sunlight can penetrate a modest accumulation of snow, reach the panels, and continue to generate power. 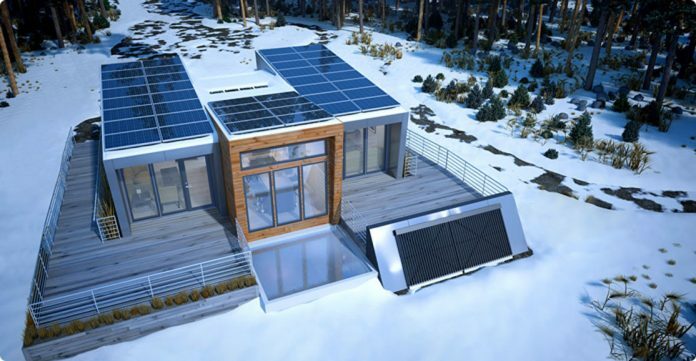 Because the panels absorb heat, and because they are mounted on the sun-facing side of the roof, they effectively clean themselves by enabling snow to slide off. The snow even helps to clean PV panels as it melts away, similar to the way snow melting on its own accord leaves windows clean, as any dirt on the glass washes away as the snow melts. Free of debris, the solar panels are able to reach their optimal level of efficiency. While solar panels do stop generating power if coated by heavy snow, even then overall yearly production is not substantially affected, and they remain a good investment in most any U.S. region. As for the weight of snow, panel installations are designed to hold up to it, winter after winter. Tests of PV panels under pressure show impressive durability. Panels earn ratings for their capacity to handle pressure. The higher a panel’s pressure rating, the stronger that panel will be under snow and wind pressure loads. Now, what about the effects of the physical panels, which add a partial layer of material on top of a roof? Will this have any effect on the home’s interior temperature? According to researchers who have studied the question, the answer is yes. It turns out that the physical presence of the panels offer a roof a degree of protection from inclement weather, sunlight, and heat. The area shaded by the solar panel installation benefits from an extra insulation factor, so it will keep warmer in the winter and cooler in the summer. In summer, the panels act as shields on the roof. This cooling effect of the physical panels is significant. The researchers found that the energy costs saved on the cooling of the building amounted a 5% discount on a PV installation’s price over the life of the panels. Moreover, the same research shows that the PV panel installation holds heat in during the night when temperatures drop. The effect reduces energy costs over the winter, further augmenting the return on investment. 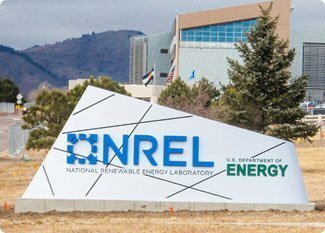 The National Renewable Energy Laboratory offers information for homeowners to explore through its Renewable Resource Data Center. For example, find average monthly sunlight totals for any place in the United States. You can also estimate your likely year-round wattage output. Overall, even in areas where winter sunlight is a precious commodity, and snow is very heavy, solar is a solid investment. And with the grid as a safety net, owners of solar panel installations are not dependent upon constant real-time solar energy generation. We know that the shift to renewable energy is the key to our future. And all things considered, PV installations do give a good return on the investment all year long. They heat and cool our homes and keep performing through the winter, when household electricity needs, especially in the more northern latitudes, run high.